Two posts today so be sure to scroll down! Hi! First I must tell you that this card is way out of my comfort zone but I'm commited to learn and grow so I just dove in. 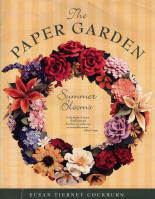 I began with this sketch challenge from Posh Designs Scrapbook Store and then went looking for more inspiration. The second challenge I found is the Stamping Sisters in Christ Challenge, SSCC27, based on Esther 4:14 to show "time". I loved the Beth Moore study of Esther so I really wanted to do this one. I found a couple of other challenges on SCS to use lace (WT259) and the new Free for All Challenges(F4A1) to use texture, patterned paper, and a color you don't normally use. My rarely used color is Really Rust. I bet its been years since I pulled that one out. I flipped the sentiment panel, did alot of distressing and sponging and cluttered it up really good with embellishments. I just love this quote...be sure and enlarge the photo so you can read it. 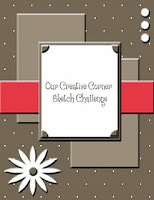 Give this sketch a try and link your creations on the Posh Designs Scrapbook blog. They're giving a $25 gift certificate to the awesome Posh Designs Scrapbook Store. A Life Filled with Cupcakes is a Good Life, So... Pig Out! I am sad to report that due to circumstances beyond her control, Judy of Digital-Ink Co., is closing the doors to the store. She will be opening her own stand alone store soon so stay tuned for more information. I was assigned to Judy for the next challenge, "Anything Goes". 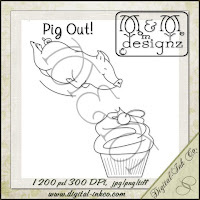 I paired her image, "Pig Out" with some templates from The Cutting Cafe. You know how much I love cupcakes! (See my posts here for recipes and photos). I chose the Cupcake Box and one of her awesome new releases All Occasion Tag Set. These tags fit the SU tag punch. How cool is that?! I wanted this to be suitable for boys but I think a girl might like the polka dotted pig too. 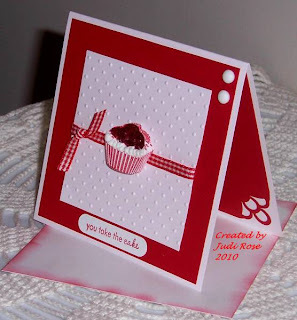 I used the Easel Card design from SplitcoastStampers and The Cutting Cafe's All About Cupcakes for my card sentiment. Have you ever seen such pure bliss? Um, that is unless, it's my face diving into that cupcake! Thanks for stopping by! I appreciate your comments and if you're new, come follow along with me! You never know what will happen on the playground. Extra, Extra...I've Got Big News!! 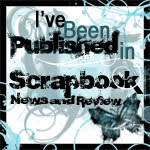 I've been asked to be part of the amazing team at Posh Designs Scrapbook Store! I'm so excited to join the talented group of women at Posh Designs. 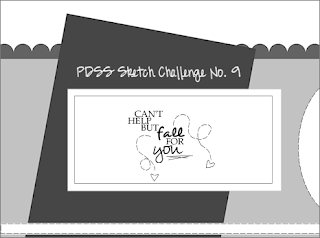 Join us on the Posh Designs blog where you'll find bi-weekly sketch challenges and team samples to inspire you. Here's the sketch that was posted today. I'll have a sample to share with you soon. 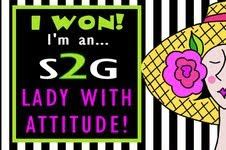 The challenges are bi-weekly so you don't have to rush and Posh Designs Scrapbook Store is giving away a $25 gift certificate to one lucky winner! How cool is that? Can you say SHOP-PING? So get creating then head over to the Posh Designs blog to link up your project. Want even more fun? Join the Posh Designs Forum where you can set up your own page to post your creations, ask questions, get inspiration and meet others who share your passion for paper. I'll see you there!! Good News Came in Two's Today!! WOW! What a short but exciting week it's been!! I feel so very blessed. First, I am so humbled to have been chosen for the Ethereal Forest Designs Team. 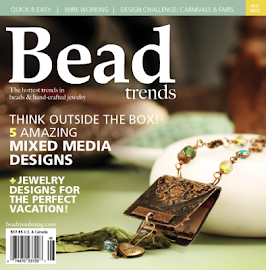 I will be joining some very talented ladies in this new digi design venture. 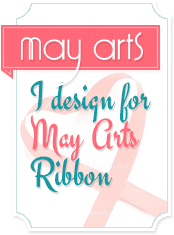 Stay tuned for a Sneak Peek and a Blog Hop beginning next week. Thanks for sharing my joy. One of my prayers for the New Year was to concentrate on more challenges and Design Teams. You can imagine my amazement when I was asked to be one team without even submitting an application. When we ask in faith, He listens. This is icing on my cake. Thank you for allowing me to celebrate a bit. Get your sunglasses out ladies! I figured we could all use a little sunshine about now. This is a quick 10 minute card today for the Clean and Simple Challenge (CAS54), "Wishing for Spring" . I combined it with the Featured Stamper Challenge, once again casing the awesome Laurie (FS158). It's actually a bit softer IRL but for some reason I just can't get the yellow right. "And the Two Shall become One"
Don't forget to leave a comment/follow here for your chance to win my big bag of ribbon today! Also, head on over to Digital-Ink Co. for your chance at the Big Prize! This verse is the Challenge #25 verse at Stamping Sisters in Christ this week..I wanted to play because the verse was our memory verse for the marriage group my husband and I host in our home every Friday. We're doing a study by Gary Smalley..an old one but full of wisdom. I flipped the CPS153 Sketch for this layout. I played the CAS53 challenge again too...can you guess my candy? The Stamping Sisters challenge is to make a project using things in 2's. 2 buttons, 2 brads, 2 colors, 2 designer papers....get it? I have 2 colors, 2 ribbons, 2 crystals, 2 people, 2 layers (center panels are popped up twice), I ran my cardstock through my Big Kick 2X to emboss it and I always have to stamp that couple twice to get a good solid image! I know...you're wondering where the marshmallows are right? The Clean and Simple Challenge (CAS53) this week is an inspiration challenge called Candyland. We had a whole store to choose from! When I saw these Marshmallow Peanuts, I knew exactly what I wanted to do. I made this Magnolia using the book, The Paper Garden. These are made using a variety of punches and a few tools. I'd love to do a tutorial for you but this is copyrighted material. Once you have the proper tools and the punches, the rest is pretty easy. The layout is the challenge from Card Positioning Systems for this week. Papertrey Ink is hosting the challenge. 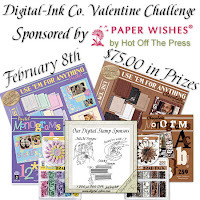 Don't forget to check yesterday's post to find out how you can win $75 worth of prizes from the Digital-Ink Co.